When an altar boy (Ed Norton) is found splattered with blood, everyone assumes he is guilty of a priest’s death. His lawyer (Richard Gere), however, is convinced that he can win the case on the basis of multiple personalities disorder. This movie may also be grouped under the category “Endings that I Never Saw Coming”. Ed Norton excels as usual, but this is probably his best performance ever. You won’t be able to forget this film once you see it! A skeptical Catholic priest (Ed Harris) is sent to investigate two supposed miracles attributed to Helen O’Regan, a nominee for sainthood. Her daughter, who grew up bitter and estranged, has the opinion that Helen was only human, but the priest must prove otherwise; though unconvinced, he ends up believing in Helen’s divine powers when he meets an unlikely witness of her third, or I should say her first, miracle. 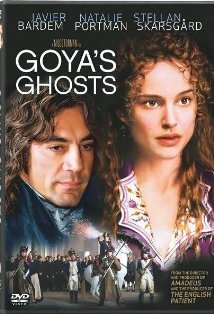 Spanish painter Francisco Goya (Stellan Skarsgard) is targeted by the Holy Inquisition when he uses as his muse a young woman named Inés (Natalie Portman) who is viewed as a heretic. Inés is incarcerated and repeatedly abused by a priest in jail. She procreates a child that is taken from her, and she loses her sanity. Years later, when liberated, she roams the streets looking for her lost child. Great performance delivered by Portman, another good one delivered by Javier Bardem as the corrupt priest. 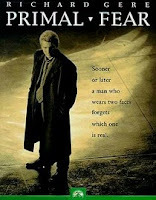 This movie is a good, faithful adaptation of the homonymous novel by P.D. James. When Ronald, the only son of a powerful businessman, is found dead in an isolated beach near the exclusive religious college where he attended, his death is ruled a suicide. His father wants to dig deeper, so he asks Adam Dalgliesh (Martin Shaw), a homicide detective at Scotland Yard, to go to the college and investigate the circumstances of his son’s death. In the college, Dalgliesh gets reacquainted with the priests that he knew when he was younger and lived on the grounds. Bittersweet memories flourish, but the stability of the college’s tight community and the future of its students is put in jeopardy by a gruesome murder followed by more odd, untimely deaths. 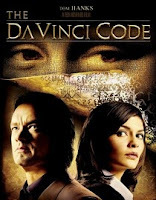 In The Da Vinci Code (♦♦♦♦), Tom Hanks stars as Robert Langdon, this time in a visit to Paris, where he goes to deliver a series of lectures and instead he becomes the focus of an investigation surrounding the murder of the curator of the Louvre Museum. The deceased’s granddaughter, Audrey Tautou (Amelie) as Sophie Neve, cryptographer with the Paris police, helps Langdon escape and solve the mystery involving her grandfather’s death as well as getting a crash course on the supposedly best kept secret of Christendom, all the while solving puzzles encoded in Leonardo Da Vici’s most famous paintings. Ian McKellen (The Lord of the Rings Trilogy), Alfred Molina (The Pink Panther 2), Jean Reno (The Pink Panther 1, 2) and Paul Bettany (Inkheart) brilliantly co-star. 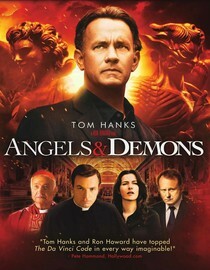 In Angels and Demons (♦♦♦♦), an adaptation of Dan Brown’s first novel, Tom Hanks stars as Robert Langdon, a symbologist expert called by the Vatican authorities to assist in finding the culprits of the kidnapping of four Papabili during the Interregnum, the period between the death of a Pope and the election of a new one. Victoria Vetra, the daughter of a prominent physicist leading experiments to create antimatter, becomes involved in the investigation due to her father’s untimely and gruesome death. Langdon must run against time to find the hidden symbols behind the kidnappers’ messages all the while trying to remain unbiased in the fight against faith and science. Ewan McGregor (Cassandra’s Dream, Moulin Rouge) co-stars.